Can you go it ALONE at ESP? If Halloween is your kind of season (and if it ain't, you're probably on the wrong site), then you likely love haunted houses. Well here at PPC, one of our favorite haunted houses is actually a jail. Specifically, it's one of America's most famous, and supposedly most famously haunted locations - Eastern State Penitentiary. 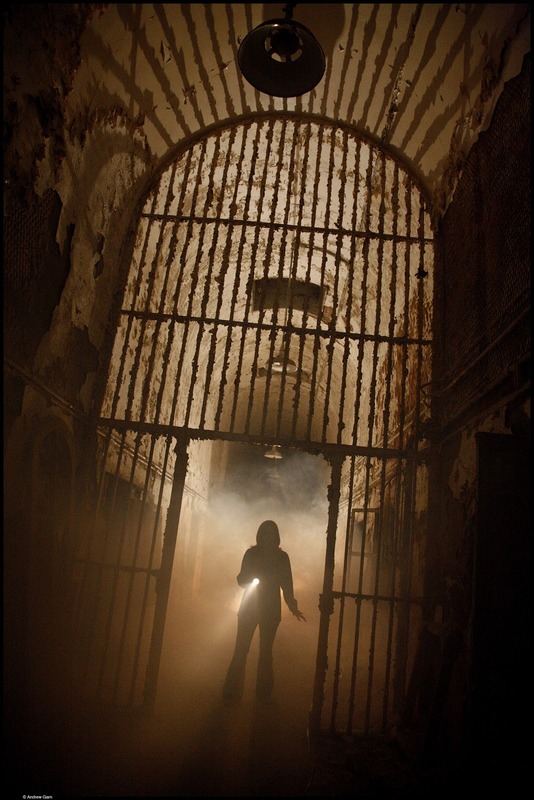 Constructed in 1911 and abandoned in 1971, it is the first of the penitentiary system with a rich and dark history that has attracted multiple film shoots and nearly every paranormal reality-TV program. But when the autumn breeze starts to blow, things at the prison get even darker than they already are, and it becomes America's largest haunted house attraction. A must-visit for haunted house fiends, Terror Behind the Walls is entering it's 2012 Halloween season with new scares and VIP experiences. An attraction called Detritus takes visitors into areas of Eastern State that have never been open to the public. Lucky patrons meander through "an original 1800s cellblock, past the historic greenhouse, and into an outdoor labyrinth of overgrown plants and twisting vines." There are five other attractions as well, including Lock Down, Night Watch, Infirmary, The Gauntlet and The Experiment (in 3D). Another new feature for this season is a VIP package called Alone. From the press release: "The ultimate Halloween experience, Alone includes a reserved parking space and an expert tour guide who will be a personal host for the evening. After a 'Behind the Scenes' tour of the penitentiary, the visitor will experience Terror Behind the Walls completely Alone, and enjoy dinner at Jack’s Firehouse." Are you brave enough to go it alone? Terror Behind the Walls is located inside the prison at 22nd Street and Fairmount Avenue in Philly, and is open select evenings, rain or shine, from Sept. 21 through Nov. 10. Check out the official website for exact nights and prices. Prices range from $25 up to $999 for the Alone package on select nights.